Are you doing your annual spring cleaning? Looking for a place to make it count? Want to support the national “Go Green” campaign? This is your opportunity to support a great mission and recycle. HUT is Lafayette’s latest development in thrift stores. One of our founders, Jo Lynn Moncrief, noticed a quote on the marquee of the Emanuel Baptist Church – and it read – “The only time you look down on someone is when you are giving them a hand up.” When discussing the creation of a thrift store – the quote was the inspiration for the name. HUT is an acronym for “Hand Up Thrift.” Their vision is derived from Hand Up – which stands for – Help – Achieve – New – Direction – With – Uplifting – Partnerships. Our partnership with local non-profits is not a byproduct of their business; it’s how we do business. Two of those partnerships include the Affiliated Blind of Louisiana and Family Promise of Acadiana. Affiliated Blind of Louisiana trains individuals who are visually impaired in the areas of vocational, living skills, mobility and Braille. For more information on Affiliated Blind of Louisiana click their logo to visit their website. Family Promise of Acadiana is an organization providing shelter, meals and comprehensive support to families without homes. For more information on Family Promise of Acadiana click their logo to visit their website. 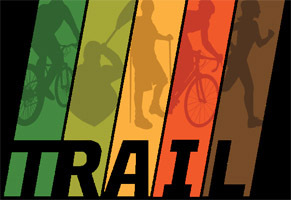 TRAIL's primary mission is to build recreational facilities; from bike lanes to bike path to paddle trails to trail heads to maps to resting benches. TRAIL primarily works along side government agencies, individuals and other organizations to help build and/or maintain recreational facilities. Affiliated Blind of Louisiana and Family Promise of Acadiana are only two of the agencies who will benefit from the HUT. We are located behind Lafayette Music off of Johnston Street at 105 Leonie. We have a large facility and plenty of parking. Our customers will always have plenty to choose from including – furniture, toys, electronics, clothing, household treasures, bath accessories, books, shoes, purses and so much more! HUT is committed to responsible recycling; any merchandise not suitable for sale is sold to other community companies. The furniture will be recycled through CUPS – Community United in Prayer and Services. Our principles of giving back and providing opportunities are values we stand on. So please help us support these missions – we know you have a choice. We thank you for choosing Hand Up Thrift.